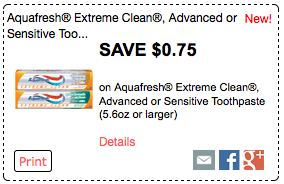 Price Chopper: Aquafresh Extreme Clean $0.49! Aquafresh Extreme Clean 5.6 oz. is on sale for $1.99 thru 5/10 at Price Chopper = $0.49!